This is a list of Iris terminology and definitions. 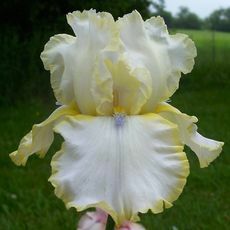 Bloom season – the time of the iris variety will bloom within each classification; a late season Standard dwarf bearded may bloom the same time as an early blooming tall beaded iris. An iris listed E-L will bloom over an extended period indicating a high stalk and/or bud count. Stigma – lip like growth near the end of the style arm; the flowers female reproductive part.